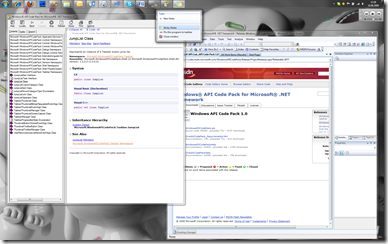 Well, if you don’t want to have them removed just form your Team Explorer in Visual Studio you want to go to your Team Foundation Server Remote Desktop and open a commandline. What? The avatar on the rear-view mirror? Apparently DiRT 2 is coming with several funny features – one of which is that you can decorate your cars interior – like: you can hang your avatar on the rear-view-mirror… great idea! 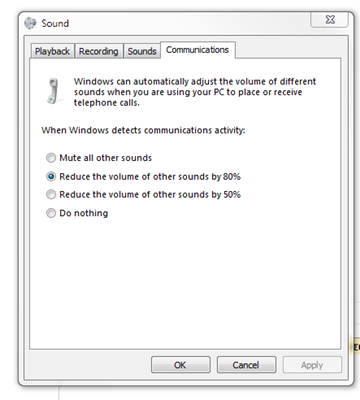 When you start a Skype call WIndows 7 will immediately reduce the volume of all other sounds by a defined value. 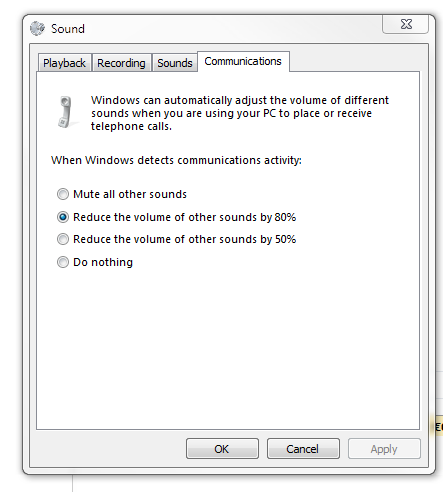 80% is default. Great and useful feature! 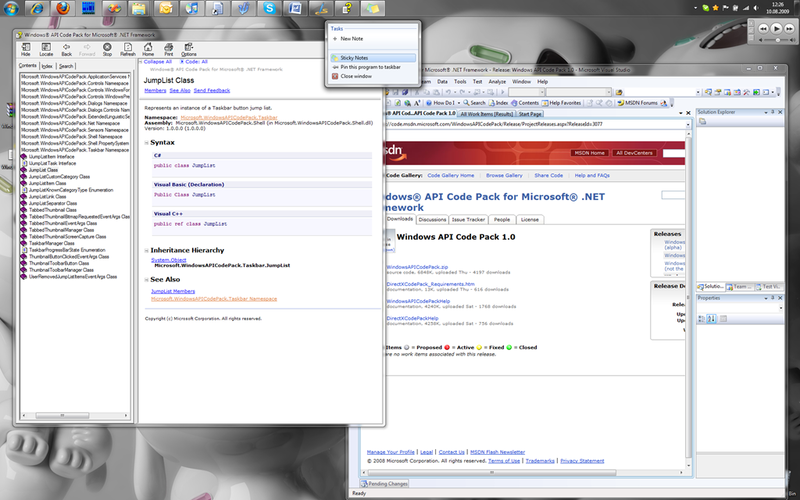 After the upgrade of all my machines to Windows 7 I now can write code for the new UI. Great stuff!